In November 2017, the Kentucky LMSC established the Joanne Tingley Scholarship to provide financial reimbursement for tuition and travel expenses for U.S. Masters Swimming Coaches Certification and Adult Learn-To-Swim Instructor Certification Courses. 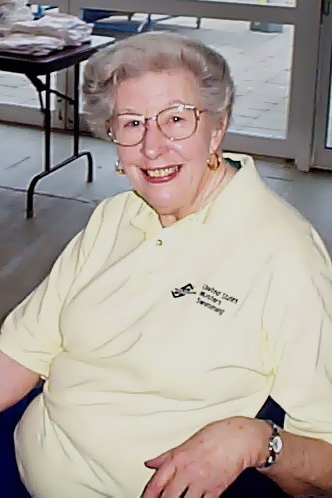 This scholarship is in memory of the late Joanne G. Tingley, who is affectionately remembered as “The Queen of Kentucky Masters Swimming.” Joanne swam for Lakeside Masters in Louisville, Kentucky, and dutifully served for many years as an officer of the Kentucky LMSC and in positions at the national level of U.S. Masters Swimming. Joanne was a steadfast supporter of all things USMS who channeled her love for swimming into remarkable amounts of time and energy spent ensuring the program flourished in Kentucky. Will you receive funding from another source for attending this course? If yes, from whom and what amount? Please describe an overview of your estimated expenses. Thank you for submitting an application for the Joanne Tingley Scholarship. You will be contacted by the Kentucky LMSC chair following the next meeting of the Kentucky LMSC. Applications for the Joanne Tingley Scholarship are available at KYLMSC.org/jtscholarship and may be submitted to the LMSC chair at any time prior to incurring expenses (KYchair@usms.org). Applications will only be accepted from U.S. Masters Swimming members currently registered with the Kentucky LMSC. Please submit separate applications for multiple courses. Applications received by the LMSC chair will be voted upon at the next meeting of the Kentucky LMSC. Second, all members of the LMSC will vote to approve, amend, or reject the Executive Committee’s recommendations. Recipients of the Joanne Tingley Scholarship will be notified by phone or email by the LMSC chair. Reimbursement will follow policies set forth in the Kentucky LMSC Travel Guidelines.